He’s the best cop they’ve got. When a drug bust turns into a bloodbath it’s up to Inspector Macbeth and his team to clean up the mess. He’s also an ex-drug addict with a troubled past. He’s rewarded for his success. Power. Money. Respect. They’re all within reach. But a man like him won’t get to the top. Plagued by hallucinations and paranoia, Macbeth starts to unravel. He’s convinced he won’t get what is rightfully his. Unless he kills for it. 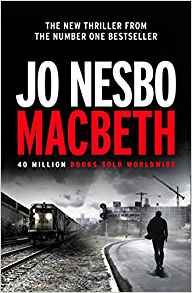 With the Hogarth Shakespeare Project calling on the talents of some of the acclaimed novelists of today, to retell a selection of Shakespeare’s finest plays, who better to reimagine Macbeth with all its inherent darkness than bestselling crime author Jo Nesbo. Talking of his inspiration for his own Macbeth, Nesbo says that the original is “a thriller about the struggle for power, set both in a gloomy, stormy, noir like setting, and in a dark, paranoid human mind”, so not that far removed from the familiar crime writing tropes we all recognise, So how does Nesbo’s take on this Shakespeare classic measure up? Having pretty much forgotten the plot of Macbeth since reading it years ago, it was quite enjoyable not overthinking the comparisons and similarities between the play and Nesbo’s rendition, so however scant your knowledge of the original, the key characters and pivotal scenes are well in evidence here. The book is suffused with direct and reworked familiar quotes from the play, and at times there’s a cheery playfulness to how Nesbo attributes them to certain characters, tempered by the darkest proclamations that arise from the darkest deeds in the book. Sometimes the language feels a little over reliant on quotes, even a touch forced. It seems that Nesbo gets too caught up in the need to echo the original, and the dialogue that comes from some characters seems a little disingenuous to our perception of them, and makes the dialogue rigid at times. However, like Shakespeare’s version, and as Nesbo alluded to himself, the key theme is power, and the desperate, violent and dehumanising actions that one man, the eponymous police officer Macbeth, takes to gain and consolidate power. As one character says of Macbeth’s lust for power, “He’s already managed to divest himself of any emotions that tie him to morality and humanity, now power is his new and only lover” and this is what Nesbo captures so perfectly in his characterisation. Macbeth, aided and abetted by his conniving lover Lady, is an intense and mesmerising character throughout, battling his physical addiction to ‘brew’, scheming and plotting, driven by his suffocating love for Lady and his own thirst for complete autocracy. I loved the sense of this claustrophobic vacuum that they exist in, completely immersed in each other, and both hungry for power, until the seismic shift in their relationship. Likewise, I thought that Duff was an incredibly interesting character, at one time the absolute confidante of Macbeth, but now as obsessed with justice as Macbeth is with power, whatever the cost to them both. There is a large cast of characters, and Nesbo balances them very well in what is more of a reading marathon than a sprint, keeping the reader on the back foot with the double dealing, betrayal, and sudden outbursts of extreme violence, as faithful to Shakespeare himself, he decreases them by the page by nefarious means. Undoubtedly, my favourite aspect of the book was the setting, in a reimagined Scottish city replete with poisonous air, seedy backstreets, the purveyors of human misery in drugs or gambling, a crumbling economy, but all resonating with the echo of history. Nesbo is incredibly good at grounding the reader in the specific location against which his characters vent and rage. plot and scheme and love and die, and there’s an incredibly visual quality to the book as a whole which is vital to alleviate the intensity of the raw emotions much in evidence here. This, and the very well defined characterisation was definitely central to my overall enjoyment of the book, which, although a little drawn out at times, slowed down by the necessity to reference the original a little too tenaciously, was a satisfying read overall. It mostly captured the dark and dangerous ambition and melancholy of Shakespeare’s original, and I’m sure this proved a very interesting writing experience for Nesbo himself. 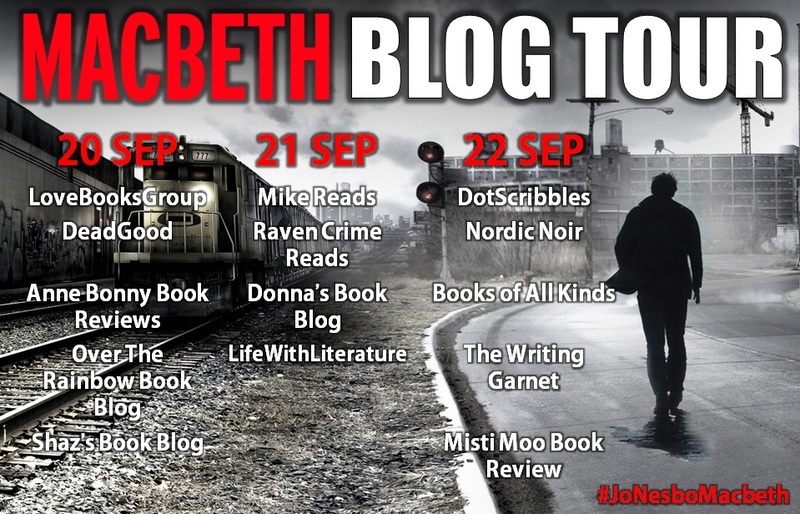 To buy Macbeth by Jo Nesbo click here! Sign up to the official Jo Nesbo monthly emails here for the latest book and event news, exclusive content from Jo and competitions you won’t find anywhere else. Orlando Ortega-Medina has produced a remarkable volume of stories that are not only far reaching in terms of location, but also in the very recognisable aspects of human emotion he weaves into his character’s individual experiences. Across the stories, he addresses the themes of love, death, ageing, sexuality, family conflict and obsession with an intuitive and engaging style, that at times brings the reader up short to truly sit up, and think about what they have just read. For the purposes of this review, and so as not to mar your discovery of all the stories in this collection, I just wanted to write a few words on a couple of the stories that made me sit up and think too. In a guest post at Reader Dad, Ortega- Medina talks about his experience of writing short stories, and makes reference to After The Storm, my particular favourite in the book, and the number of revisions he made to it, right up until the point of submission to his publisher. This story runs to about 18.5 pages, but to me encompassed the emotional breadth and detail of a book many times this length. Focussing on a woman’s chance discovery of something on a beach (no spoilers here), Ortega-Medina constructs a story that is heart-rending and thought provoking, on the breaks in communication, and loss of awareness that occurs in many personal relationships. 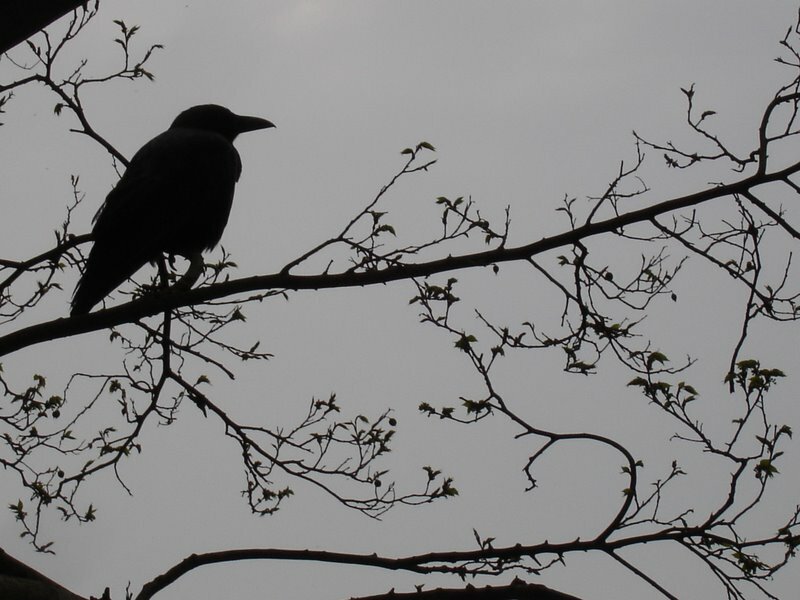 The story is darkly strange but underscored by an innate feeling of truth and observation that takes hold of the reader, and even in the aftermath of reading reoccurs in one’s thoughts. Susan’s actions seem so totally alien and discomforting at first, but when seen through the eyes of others, are imbued with a real sense of poignancy. Also, the author’s depiction of this wild coastline where Susan and her husband dwell in their secluded lighthouse, is described with such clarity that you can sense the thrashing sea spray, the keening of the gulls, and the smell of the seaweed. Perfect compacted prose that reveals a world of emotion. The intensity of Susan’s experience set against the broad, unending landscape of the natural world is mirrored in Star Party, where the theme of human relationships is played out beneath a huge expanse of sky where people have gathered to star watch. I like the way that Ortega-Medina transposes the small but intense insecurities and problems of his protagonists against this broad canvas, which puts our relative importance in the universe in perspective, but never lessening the real concerns of his characters’ lives. Equally, in The Shovelist, the financial security of an old man and his wife is seen to be dependent on the coming of the snow, and his neighbour’s willingness to pay him to shovel their driveway, a fairly humdrum problem you would think, but one that in the author’s hands, explores community and the realisation of, and sympathy for, other’s troubles. As much as every story works in this collection as a self contained tale, the two part story of An Israel State of Mind had me wanting more. Narrating the events of a young man and his girlfriend’s trip to a kibbutz, I loved this tale of pent up emotion and unresolved love, the exploration of difference and misunderstanding, all within the framework of a shared, and what should be a life affirming experience. I think it’s a real feat of Ortega-Medina’s writing that he so quickly enables the reader to connect on an emotional level with his characters in this story and others, when whole books can pass you by without this essential connection as a reader. I still want to know what happens to these characters beyond what is written here. So as a non-widely read short story reader, I gained much from Jerusalem Ablaze, and it has honestly awakened an appreciation of the form for me. An alternately dark, emotional, tender, and violent contemporary collection that I enjoyed greatly. Highly recommended. The nature of the writing from the outset is challenging, and you may feel a little ‘all-at-sea’ when first embarking on this, until the characters gain a foothold in your mind, and the swift changes of narrative begin to establish a pattern and rhythm. But beware because, as a further ramification of this initial state of confusion, you will be further toyed with by Toropov as things happen, both cruel and unusual that will surprise and shock you in equal measure, further heightening the strange state of unreality, and the pure unpalatable truths of reality that the author seeks to convey. In simple terms, the whole book reads as a memoir, narrated by an American special operative on his return from a particularly ill-fated incursion into an unnamed Islamic state, and the characters and incidents that impact on his personal experience. 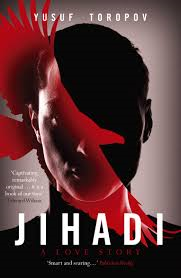 However, this story then delineates to address far bigger themes, amongst them, the nefarious grasp of religious radicalism counterbalanced by the beauty of true religion, feminism, love and loss, and the clash of cultures that leads to violence and human collateral damage. Consequently, the essential style of this book is difficult to pinpoint as it reads like T. S. Eliot, fused with Homeland, with a soundtrack of The Beatles The White Album (referred to in the aforementioned grey boxes), interspersed with references to the Koran, whilst ultimately fulfilling its criteria as a heightened socially, and culturally aware, literary thriller. 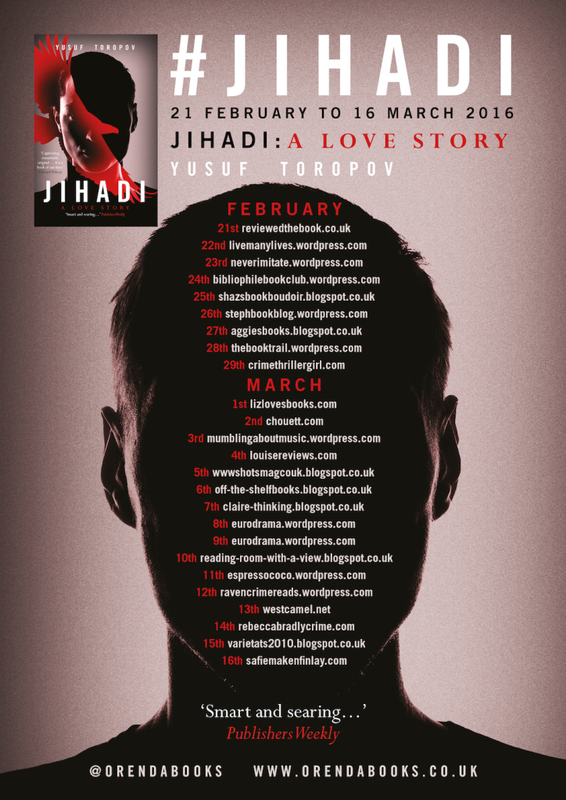 Every single character within the book is shrewdly drawn, causing a gamut of emotions within the reader themselves, from the appalling actions of Mazzoni, an American marine, the religious rabble rousing of Abu Islam, the road to conversion of our main narrator Thelonius himself, and my favourite character Fatima, a good Islamic woman whose personal experiences lead her on an unexpected but completely justified path to revenge and retribution. Between all the protagonists we bear witness to the very best and worst of human behaviour, their prejudices and goodness, and how the predatory nature of some individuals wreaks havoc on the innocent, and undermines our faith in each other. This blend of assured characterisation to pass comment on issues that ultimately affect us all is extremely cleverly done, not with browbeating and preaching, but with a thought-provoking and subtle prod for us to consider our own responses to these weighty issues. So shut out the world, turn off that phone, ramp up The White Album by The Beatles, and devote time to this to appreciate it fully. It is a challenging and, at times, a difficult read, but this is a good thing. Embrace it, and I think you’ll find this a pleasingly different reading experience.